URAYASU, CHIBA— From January 11 through March 25, 2019, Tokyo Disney Resort® will host the finale of the yearlong anniversary event, “Tokyo Disney Resort 35th ‘Happiest Celebration!’” at Tokyo Disneyland® Park. 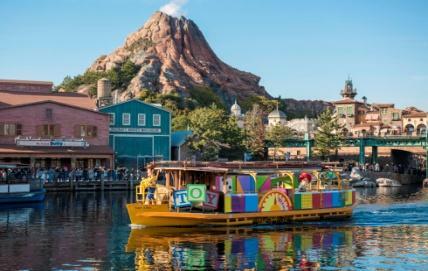 At the same time, Tokyo DisneySea® Park will offer the special event, “Pixar Playtime” and the special program “Duffy’s Heartwarming Days.” The Disney hotels and the Disney Resort Line will also offer special programs and activities during this period. 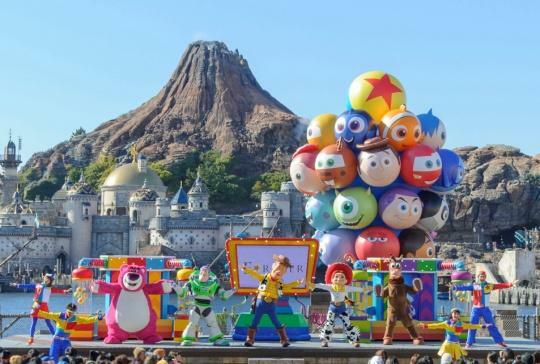 The Tokyo DisneySea special event, “Pixar Playtime,” will give Guests a variety of experiences themed to the world of Disney-Pixar films. Guests of all ages will be able to enjoy all their favorite Disney-Pixar Characters in the participatory stage show “Pixar Playtime Pals,” as well as in other entertainment programs around the Park. In various locations, Guests can also try the interactive game booths that are themed to a board game. This year, Guests will find new photo locations inspired by the worlds of the Disney-Pixar film Coco (released in Japan as Remember Me) and the Finding Nemo film series. Again this year, Tokyo DisneySea will host “Duffy’s Heartwarming Days,” a special program reflecting the warm and gentle world of Duffy, ShellieMay, Gelatoni, and StellaLou. Guests will find new decorations, merchandise and menu items that feature scenes of Duffy and Friends making presents filled with their heartfelt wishes. 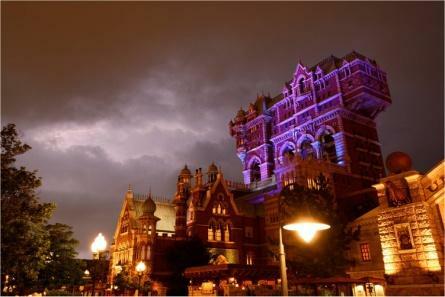 Tokyo DisneySea will also offer a special version of the popular attraction Tower of Terror exclusively during this period. Tower of Terror “Unlimited” will give Guests even more thrills with a number of different patterns of the exciting “free fall” effect. In addition, the Disney hotels and the Disney Resort Line will also offer programs linked to the special events at the two Parks. 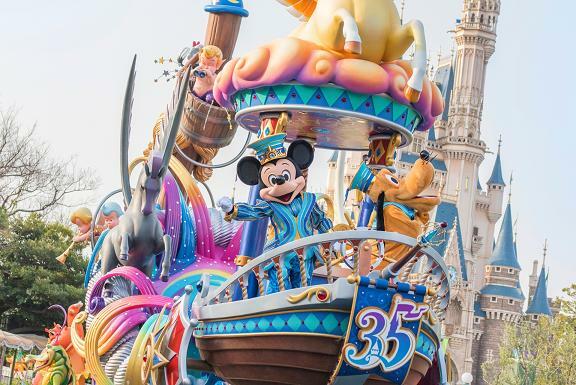 This daytime parade, which premiered for the “Tokyo Disney Resort 35th ‘Happiest Celebration!’” anniversary event, will be presented in a special version for the limited period of January 11 to March 25, 2019. 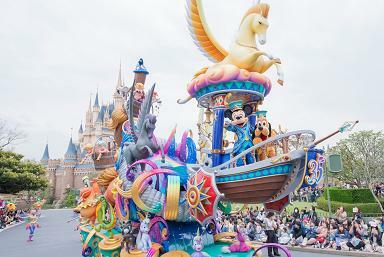 The special version of “Dreaming Up!” will pause along the parade route so that Guests can join the Disney Friends in gesturing and clapping along to the 35th anniversary theme song to celebrate the occasion and the world of infinite dreams. Note: Entertainment programs are subject to change or cancellation due to inclement weather, etc. The number of performances each day is also subject to change. 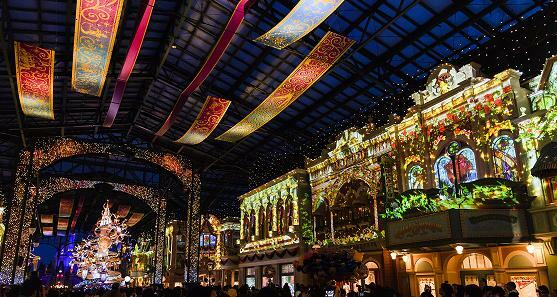 For the 35th anniversary, Main Street in World Bazaar has been transformed into “Celebration Street” to enhance the celebratory atmosphere of the Park. During the “Grand Finale” period, the images, music and lighting of “Celebration Street” will be presented in a new version. 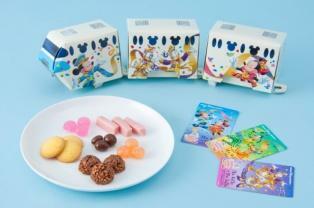 With the Tokyo Disney Resort 35th anniversary celebration reaching its grand finale, about 65 types of special merchandise for the event will be offered. Artwork of the Disney Friends looking ahead to a world of dreams and unlimited possibilities will be featured on a large bath towel and other items. Other artwork that brings back happy memories of the event will incorporate elements of the decorations, merchandise and food items from the 35th anniversary and will be used for notebooks, postcards and pouches. In addition, a postcard set with special artwork of the Happiest Mickey Spots and merchandise with motifs based on the 35th anniversary designs for the Disney Resort Line will be available. 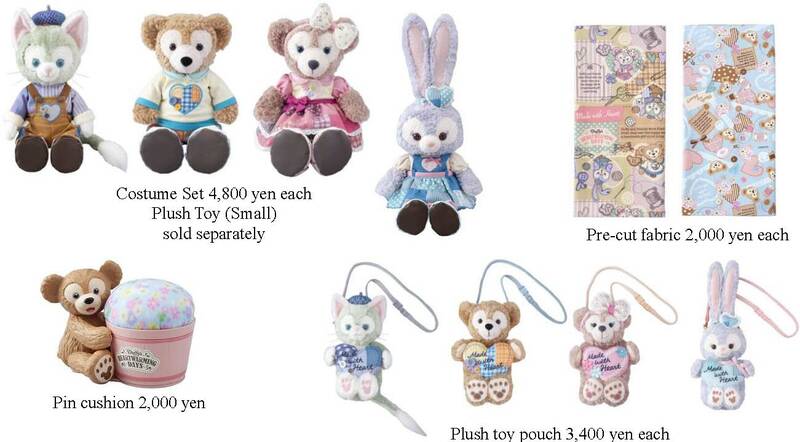 Note: Special merchandise will be available from January 7, 2019 at both Tokyo Disneyland and Tokyo DisneySea. Some items will only be available while the supply lasts. 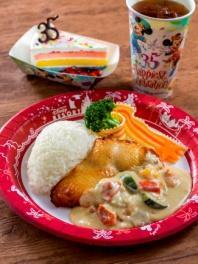 Guests will be able to enjoy special menu items that reflect the “Grand Finale” of the 35th anniversary event. Among the special menus, there will be a colorful special dish at Grandma Sara’s Kitchen that captures the festive feeling of the finale. The Gazebo will bring back the Waffle Cone (Beef & Rice), but decorated this time with star-shaped gold leaf. 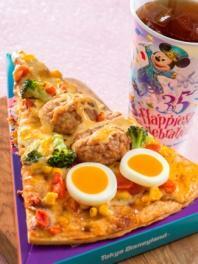 And the special “it’s a small world” Pizza, which was inspired by the reopening of the “it’s a small world” attraction during the 35th anniversary event, will be themed to the South Pacific area of the attraction for the “Grand Finale” event period. Note: Special menu items will be available from December 26, 2018. The contents of the menus may change and some items will only be available while the supply lasts. A special guided tour commemorating the 35th anniversary will be offered for a fee during the “Grand Finale” event. 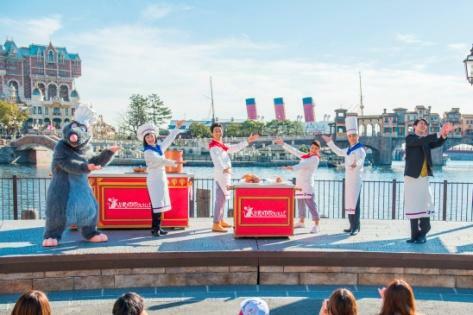 The Cast Member conducting the tour will take Guests through the 35 years of the Park’s history using photographs from the past as well as showing them Tokyo Disneyland as it is today. The Tour Guide will elicit from the Guests their memories of the Park while giving them a different perspective of the Park’s appeal. 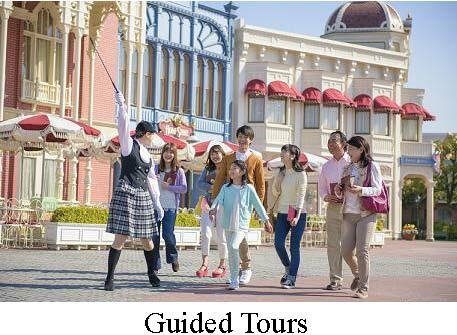 The tour is sure to provide Guests with one of the happiest experiences for the Tokyo Disney Resort 35th anniversary. Note: This special tour is a group tour. The Disney-Pixar Characters gather at Piazza Topolino to play fun games with all the Guests. The challenge is to complete three games inspired by the Toy Story film series, The Incredibles film series and the Finding Nemo film series. When all the games are successfully completed, lots of Disney-Pixar Characters show up and raise the level of excitement. 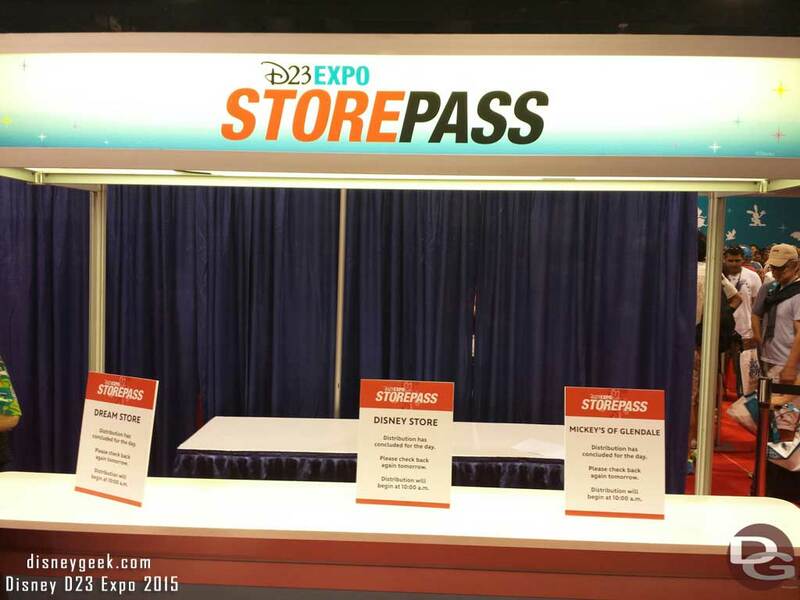 For the first time this year, Edna Mode from the The Incredibles film series will make an appearance. 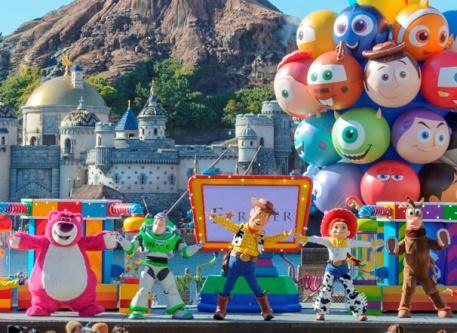 The show’s finale will feature large balloons with motifs of the DisneyPixar Characters. 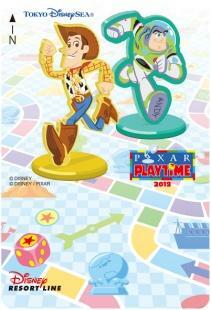 Guests are sure to enjoy this happy time playing together with the Disney-Pixar Pals. 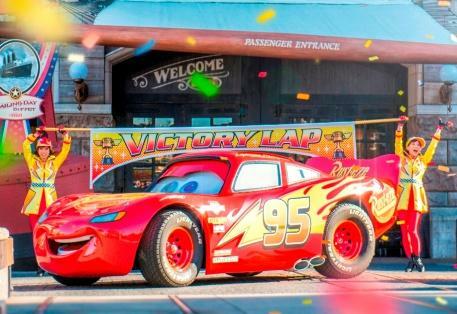 The now world-famous racer, Lightning McQueen, is coming to American Waterfront for a victory lap. As crowds of Guests look on, Lightning McQueen makes his appearance. Dancers also join, together with the Guests, for a “drive” through American Waterfront. In the latter part of the program, the music builds up and creates a festival mood. A checkered flag waves to mark when the goal is reached. A pop-up of the popular French restaurant, Ratatouille, from the DisneyPixar film of the same name, is back again in Mediterranean Harbor. The cheerful waiter and the chefs-in-training make their appearance and take orders from the Guests. They try to prepare the special full-course meal for the day, but they don’t quite succeed. Just then, Remy and the chefs show up and propose that everyone join in and prepare the meal together. Following Remy’s directions, the Guests “cook” happily together with the chef-in-training and through everyone’s cooperation produce a special French meal. 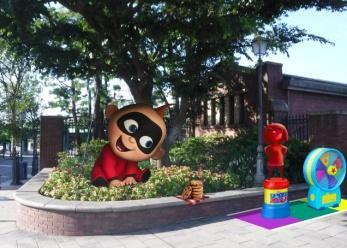 Disney-Pixar Characters board the DisneySea Transit Steamer Line as a way to play together and greet Guests who are enjoying the special event. 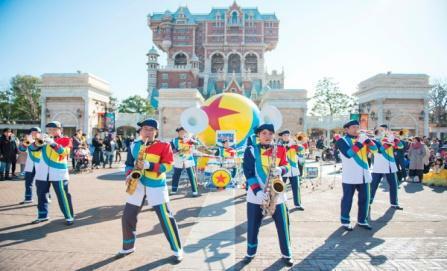 The Tokyo DisneySea Maritime Band will perform in a “Pixar Playtime” special version for the duration of the special event. Note: Entertainment programs are subject to change or cancellation due to inclement weather, etc. The number of performances each day and the venue for the performances are also subject to change. Guests will be immersed in the world of DisneyPixar films through the decorations around the Park. Waterfront Park in the New York area of American Waterfront will be transformed into a symbolic board game with the pavement decorated to look like the colorful squares of a gameboard. 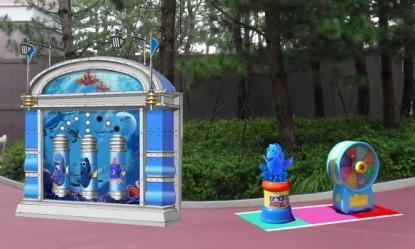 In several areas within Tokyo DisneySea, interactive decorations in the form of game booths will be set up. Guests can help change Lightning McQueen’s tires or help Remy, who loves to cook, finish up preparing his dish. By working together with friends and family, Guests will be able to successfully complete the various games. 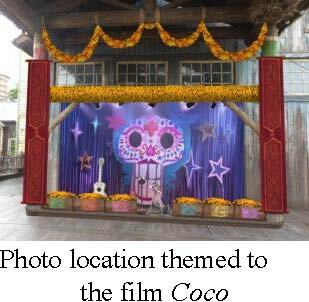 In addition, new photo locations will be set up themed to the Disney-Pixar film Coco, as well as the Finding Nemo film series and The Incredibles film series. 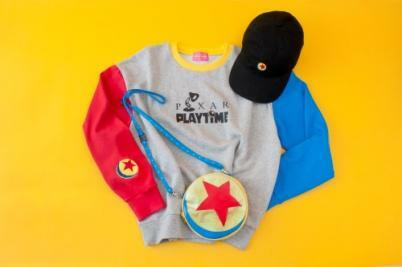 With designs featuring the board game theme of “Pixar Playtime,” about 100 different types of special merchandise will be offered for the special event. 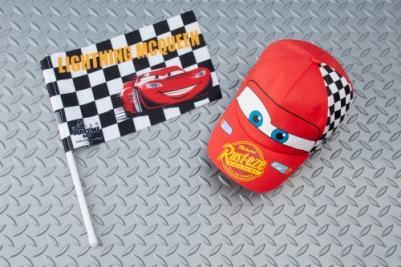 These include sweatshirts and caps, as well as items perfect for enjoying the “Lightning McQueen Victory Lap”. 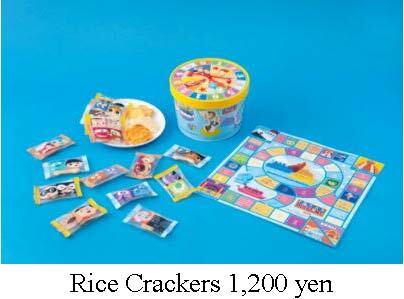 There are also rice crackers that can be enjoyed in a unique way as an element of a board game. These are packaged in a paper box that can be used to create game pieces. Note: Special merchandise will be available from January 7, 2019. Some items will only be available while the supply lasts. Guests will be able to enjoy menu items themed to the world of Disney-Pixar at restaurants around the Park. New York Deli will serve special menu items themed to the Cars film series, while Vulcania Restaurant and Sultan’s Oasis will serve dishes with motifs of the Disney-Pixar Characters from the Monsters, Inc. film series. The special menu at Cafe Portofino will feature pasta, soup and dessert inspired by the Toy Story film series, and Casbah Food Court will offer dishes inspired by The Incredibles film series. Guests will be able to get a taste of the world of Disney-Pixar films through these tempting dishes. Note: Special menu items will be available from January 9, 2019. The contents of the menus may change and some items will only be available while the supply lasts. This special program is back again, transforming the Cape Cod area of American Waterfront into the warm and gentle world of Duffy and Friends. Guests can enjoy variety of special merchandise and menu items, as well as decorations around the Park. In front of Aunt Peg’s Village Store will be a new photo location depicting Duffy, ShellieMay, Gelatoni, and StellaLou giving special presents that they prepared with all their hearts. In other locations, there will be a bulletin board with heartwarming notes about Duffy and Friends, as well as decorations with showing Duffy and Friends preparing presents. Guests can meet Duffy at Village Greeting Place and ShellieMay near Cape Cod Cook-Off. They will be wearing new costumes just for this special program. 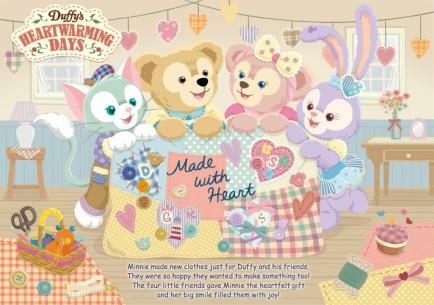 Approximately 40 different types of special merchandise inspired by the background story of “Duffy’s Heartwarming Days” will be available. These include pre-cut fabrics and pin cushions, as well as sewing supplies offered for the first time this year. 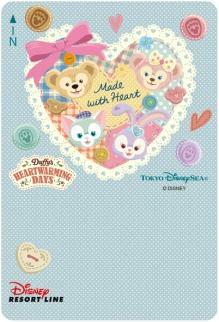 In addition, the Duffy and Friends costume sets feature a heart-shaped patchwork made by Minnie Mouse especially for the four friends. Pouches made with the same soft and fluffy material as the Duffy and Friends plush toys will now be available in Gelatoni and StellaLou shapes as well. Note: Special merchandise will be available from January 8, 2019. Some items will only be available while the supply lasts. At Cape Cod Cook-Off, Guests can enjoy a special set that comes with a lunch case, as well as a dessert which includes a souvenir cup or plate. The interior of the restaurant will also be decorated with colorful tapestries and garlands designed with Duffy and Friends, and posters showing scenes from the story. Note: Special menu items will be available from January 8, 2019. The contents of the menus may change and some items will only be available while the supply lasts. This popular attraction takes Guests through a terrifying, supernatural experience on a plunging elevator. This version of the Tower of Terror can only be experienced during this limited time and adds even more thrills. Guests who accept the challenge must be willing to brave the chilling powers of the cursed idol, Shiriki Utundu. 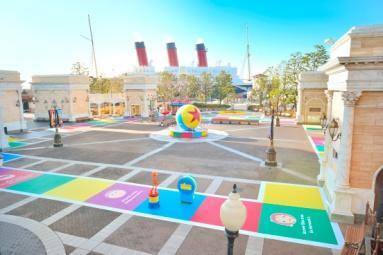 This online service is offering (in Japanese only) two-and three-day plans for Guests to enjoy the Tokyo Disneyland special event “Tokyo Disney Resort 35th ‘Happiest Celebration!’ Grand Finale,” and the Tokyo DisneySea special event “Pixar Playtime.” The plans include accommodations at a Disney or other hotel, Disney FASTPASS® tickets that do not have specified times, and many other benefits. Please see the Tokyo Disney Resort Online Reservation & Tickets website https://reserve.tokyodisneyresort.jp/ for details. Guests can continue to feel the ambience of the Parks’ special events at the three Disney hotels. 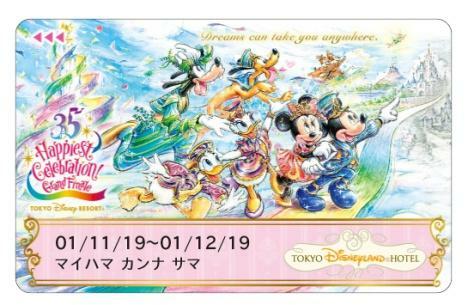 At Tokyo Disneyland® Hotel, room keys will feature a new 35th anniversary design from January 11, 2019 for a limited period. The hotel restaurants will serve special dishes inspired by the event. 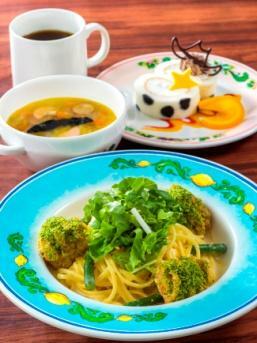 Disney Ambassador® Hotel and Tokyo DisneySea Hotel MiraCosta® will hold an event in conjunction with the Tokyo DisneySea special event “Pixar Playtime.” At the hotel restaurants, Guests can enjoy special dishes inspired by the characters from the Disney-Pixar films. Note: Special menus will start being offered from January 7, 2019. At the four monorail stations of the Disney Resort Line, day pass tickets will be available in a design based on the special event “Pixar Playtime,” as well as the special program “Duffy’s Heartwarming Days,” at Tokyo DisneySea. 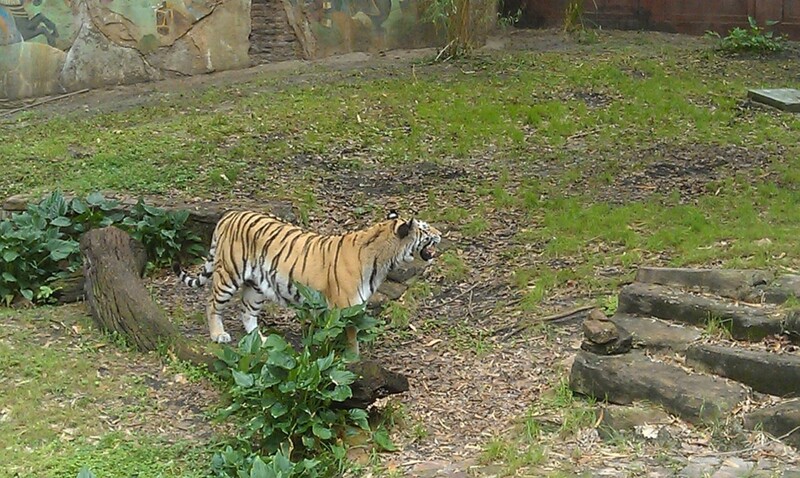 a tiger along the trek. 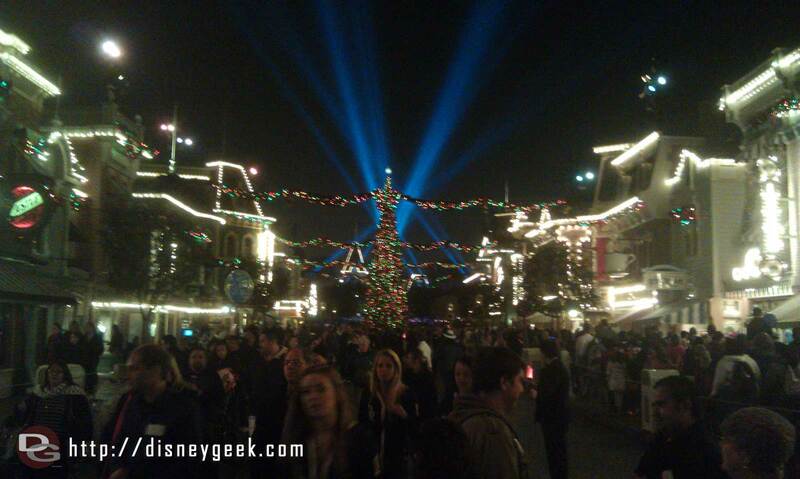 A look back at the tree with some of the Candlelight spotlights still on.